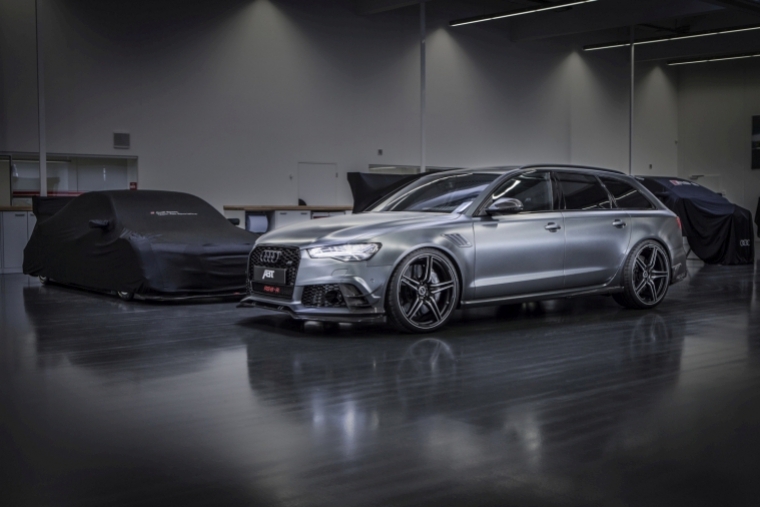 The “Daytona grey matt“ paintwork of the ABT RS6-R to be shown in Geneva says it all: with 730 hp/ 537 kW this estate’s engine is more powerful than the NASCAR racers over there in America. And its top speed of 320 kph is also quite something. But all these potent figures should not let us forget that the new ABT RS6-R is also a visual highlight. 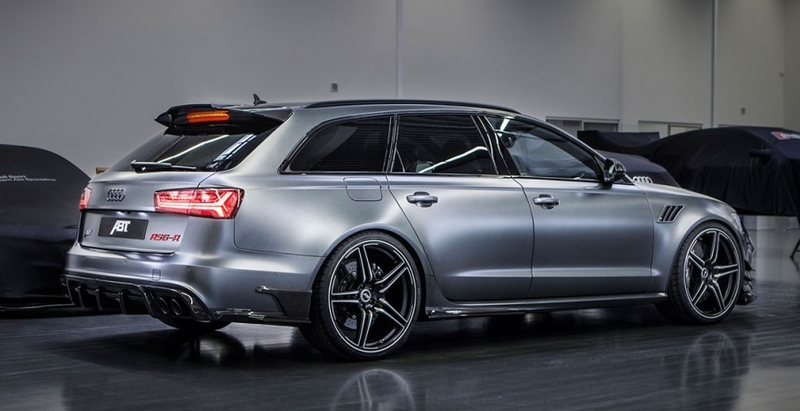 After all, the car is based upon the Audi RS6 facelift presented at the end of 2014. ”On this fit occasion, with new lamps for example, our extensive body kit really comes into its own,” says Hans-Jürgen Abt, CEO of the globally largest tuner of cars produced by the Volkswagen Group. Select expose-carbon parts are what the ABT body attachments have in common. They adorn both the front lip with its blades and the air inlet trims including flics, the side skirt add ons with side blades and the rear skirt. Mirror covers, fender inserts and a rear spoiler complete this impressive version. What is also new are the 22’’ FR alloy wheels, which will also be premiered at Geneva. With their black corpus and front-polished double spokes they combine sportiness and luxury in a perfect way. The tech pack is also quite something, turning 560 HP/ 412 kW into no less than 730 HP/ 537 kW. The basis is ABT Power S, which uses an ABT Engine Control unit with its own, specially developed software. And there is the specially adapted stainless-steel exhaust system, which with its two double tailpipes makes for a roaring sound and even better looks. 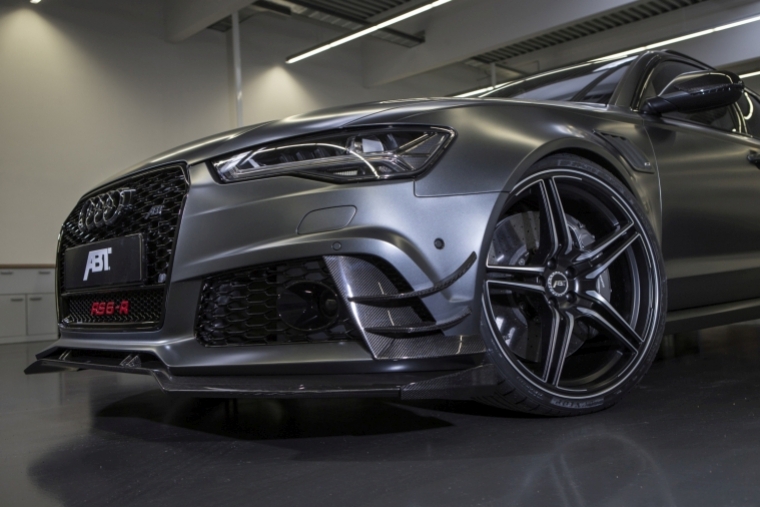 Despite its enormous power and the Daytona grey paintwork, the ABT RS6-R is not only fun on an oval track or drag strip. The production settings are great to begin with, and with the height adjustable suspension springs and high-performance tyres by Dunlop ABT adds something special. 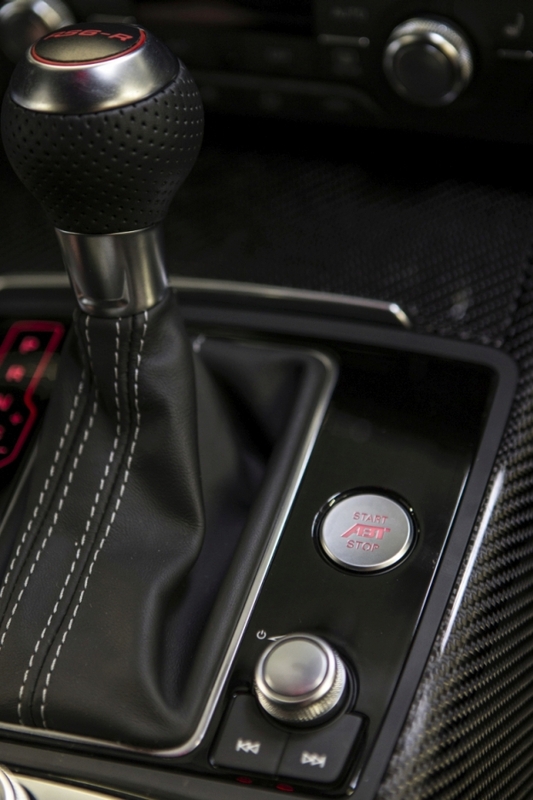 In contrast to a real racer, inside this car elegant materials prevail – ABT details included.